Encounter is a nonpartisan educational organization cultivating more informed and constructive Jewish leadership on the Israeli-Palestinian conflict. We enable deeply committed Jewish influencers to encounter firsthand the people, perspectives and challenges at the heart of the conflict. Our programs inspire new perspectives, new conversations and new approaches to the conflict. We are building a diverse Jewish leadership network across religious and political lines. Join us. Encounter invites Jewish leaders to expand their view of the Israeli-Palestinian conflict and to be a positive force for communal change. Encounter’s work is grounded in a deep commitment to the Jewish people. Encounter affirms the intrinsic, unconditional value and right to dignity of every human being. The fates of Israelis and Palestinians, like the fates of all Jews, are intertwined; Encounter maintains that these bonds must guide our relationships with all those with whom we are destined to share the Land. In an arena in which many often speak as if they alone hold the truth, Encounter asserts the importance of humility as essential for learning and leadership. Encounter values courageous leadership in relation to the conflict, and strives to support Jewish leaders who exercise bold agency in their communities even in the face of potential risk. Encounter recognizes the entrenched and seemingly intractable nature of the conflict, and affirms that though we may not complete this work, we are not free to desist. Encounter invites a rigorous discipline of curiosity: a determined seeking of new perspectives, understanding, and wisdom. Encounter values grappling directly with a multiplicity of voices, knowing that our most courageous and creative leadership often emerges through vigorous constructive conflict. 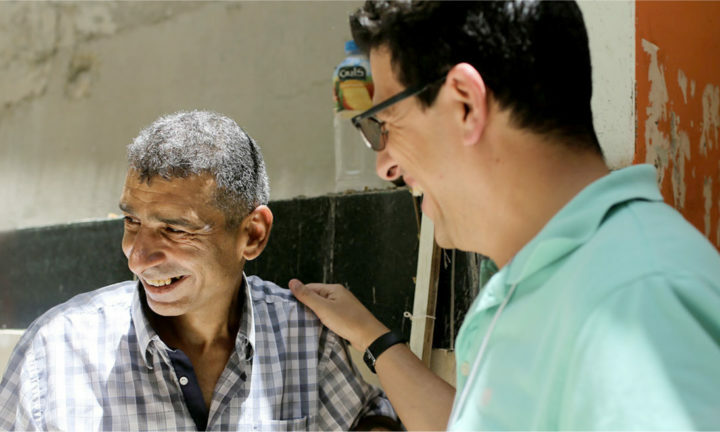 Encounter encourages resilient listening toward Palestinians and toward Jews with differing worldviews, even in the face of challenges to deeply held commitments or beliefs. Encounter encourages receptivity rather than dogmatism, openness to being transformed by new encounters and ideas, including in ways that may impact one’s future self and actions. Encounter invites the practice of experimentation and messiness: a willingness to try on new ideas and to allow others to do the same without fear of attack or judgment. Encounter encourages judging ourselves and others favorably, extending softness, compassion, and the most expansive possible views of each other, even when we disagree. Encounter values the practice of joy and playfulness, even and especially in the midst of conflict, sorrow or despair. Encounter urges acting in pursuit of that which is within our control - shifting our emphasis away from blame and toward responsibility for our own actions and our own agency, both individual and collective. What is the purpose of Encounter’s programs? Encounter is an independent, nonpartisan educational organization cultivating informed and constructive discussion and leadership on the Israeli-Palestinian conflict. Encounter believes responsible Jewish leadership on this issue means engaging with all stakeholders, especially those with whom Israel’s future is inextricably linked. There are few opportunities to do this as Jewish communal leaders without having to take a firm “position” on the issues. We convene a cross-section of leading American Jewish professionals, philanthropists and public intellectuals who care about the future of Israel and the vitality of the American Jewish community. We believe that American Jews would be wise to engage in a sophisticated way with the conflict, but we take no view on its resolution—just its importance as an issue. Who participates in Encounter’s programs? Who are your “targets”? Over 2600 Jewish leaders—emerging and executive—have traveled with Encounter to the region and participated in our programs. We seek out deeply committed Jewish leaders who have a demonstrated track record of communal leadership committed to the flourishing of the American Jewish life, and who are prepared to engage in a sophisticated way on a very challenging issue. Over the last decade and beyond, our programs have included Jewish leaders spanning a broad spectrum of religious and political backgrounds. We believe it is essential for Jewish leaders to engage directly with Palestinians, and with one another, on the critical issues facing Israel and its future. To hear more individual stories from members of our community, visit Our Community page. NOTE: Not everyone is comfortable having their participation publicized, as many communal leaders are concerned/anxious about how members of their community might react to reading about their participation without more context. For this reason, you may not see your community represented here. If you would like to speak to a past participant who is from your community and are not sure who may have participated, please contact us. Does Encounter advance a political position? Encounter is an independent and nonpartisan educational organization and as such does not take political or partisan stances on issues related to the conflict (or anything else). Participants in our programs represent the full gamut of opinions on the conflict, from left to right and everything in between. Travel to any conflict region is by definition “political,” as is the language used to describe the areas one visits. Encounter’s suggestion that responsible Jewish leadership must include meaningful encounters with Palestinians living over the Green Line, is inherently a political proposition (just as we believe the absence of such encounters is as well) and as such, we refrain from describing our work as “apolitical”. That would be disingenuous. With that said, we work very intentionally to curate cohorts of leaders that represent a wide spectrum of denominational and political affiliations, reflecting back the diversity of the American Jewish community. Is the Encounter program a “dialogue” experience? Encounter’s programs are not formal dialogue between Jews and Palestinians, but do offer a rare, structured and facilitated opportunity for confidential, intra-Jewish dialogue on challenging issues. Recognizing most Jewish leaders have never really had the opportunity for an immersive visit to Palestinian communities in the West Bank and East Jerusalem, we structure our program as a listening opportunity—a chance to hear and grapple with what local Palestinians are confronting, and as a questioning opportunity—a chance to ask pointed, thoughtful questions to better understand the situation, and how some of our speakers relate to that evolving situation. Ultimately, we do not see it as our purpose nor our place to educate, inform, or argue with the Palestinian speakers that come to meet with our groups. We are not trying to “change them” as it were. We are seeking to better understand their points of view and their lived experiences, so that we, as Jewish leaders, can seriously consider how that data may be significant to our own Jewish leadership on the issue. There are other programs that do offer opportunities for dialogue and debate and they have an important role to play. We are happy to make suggestions of other organizations doing this type of work. Generally speaking Encounter seeks to engage with civil society leaders and not official political representatives. Our programs are focused on giving our participants firsthand access to civil society leaders to get a sense of Palestinian society and a better understanding of how different sectors are making sense of the conflict. Occasionally we will meet with members of the PLO’s Negotiations Affairs Department, a group of academics and researchers who advise the PLO on negotiations. It is our sense that many Jewish leaders have met Palestinian officials at conferences or on special missions to Israel. We believe the voices of civil society leaders are harder to reach through official channels and are important in gaining a more texture understanding of the situation on the ground. Encounter is first and foremost a Jewish educational organization and decidedly not a trip provider or a tour company. 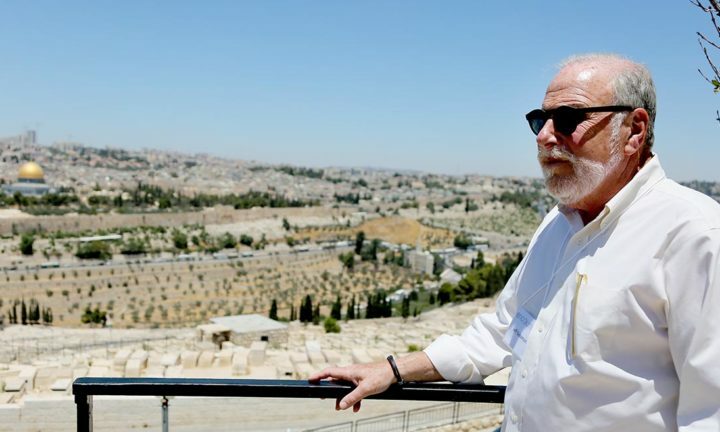 We have a very narrow and specific target audience for our programs: deeply committed Jewish communal leaders who care about the American Jewish community, Israel and the relationship between the two against the backdrop of this conflict. Secondly, we are not an advocacy or activist organization. We do not espouse or advocate for particular political “solutions” to the conflict (or anything else). Instead, we advocate for rigorous, informed and sophisticated ongoing education which we believe must include direct engagement with Palestinians on key issues of the conflict. Our approach is rooted in the philosophy of “self-directed leadership” — we trust our participants to determine the best ways to integrate this experience into their own communal contexts and do not attempt in any way to dictate or prescribe that for them. I would like to organize a special group program for my organization. Does Encounter offer commissioned programming in the region? Encounter’s core focus is on our leadership programming, specifically our Leadership Intensive Seminars and programs for emerging Jewish leaders. If you are a past participant of Encounter’s programs and would like to discuss organizing a program for your congregation or community, please direct your inquiry to our Jerusalem team by clicking here. Due to limited resources and capacity, we do not offer programming for organizations beyond this scope. We can direct you to other providers but cannot claim responsibility for your experience with them. None of Encounter’s scheduled programs align with my travel dates. Do you offer private programs? To learn more about our private programs, please visit our “Custom Programs” page. What if I am an Israeli citizen? Am I eligible to participate? Israeli law forbids Israeli citizens from travel to Area A of the West Bank without a permit. To find out more if there is a program for which you can apply, please contact us. What is Encounter’s annual budget and who are its major funders? Are you funded by any governmental bodies or connected/ associated with any other organization, institution or foundation in the Middle East, Europe or the US? Encounter’s annual budget is approximately $1,400,000. Encounter is funded almost entirely by American Jews – foundations and individual donors, approximately 30% of income from foundations and 70% from individuals. We do not solicit or receive any government funding (US, Israel, EU or any other government). We do not receive any funds from Middle Eastern or European entities. Encounter is a fully independent organization. The vision, programming decisions, recruitment strategy are formulated by our senior leadership team and Board of Directors. What is the Emerging Leaders Program? How can I apply or find out more? The Emerging Jewish Leaders programs are our standard two-day programs in the region with a specific focus on emerging Jewish leaders: future rabbis and communal professionals. These programs are also open to individuals active in American Jewish life who happen to be in the region during this time. Applications are available online for these programs and you can see a calendar of upcoming programs here. We also offer specialized programs for Gap Year students, with a focus on Modern Orthodox students. These programs are also open to Jewish communal professionals or lay leaders. To find out more about the calendar of these programs, please check out “Upcoming Programs” and sign up for our mailing list to learn more. What is the Executive Leaders’ Program? Who qualifies and how can I apply or find out more? These programs are by invitation only and are designed for senior Jewish communal leaders shaping our community’s engagement with Israel. There is no open application process for the Seminars; Interested Jewish communal leaders may be nominated by a past participant of an Intensive Seminar. Primary target audiences are senior leaders in the following spheres: influential pulpit rabbis, Hillel directors and senior professionals working on Jewish campus life, senior leaders of national communal organizations, professionals specifically focused on Israel advocacy, thought leaders in Jewish education, lay leaders and philanthropists, and those shaping the Jewish public square on this issue. Our Intensive Leadership Seminar is a cohort-based program which includes pre- and post-travel programming, access to a network of peers and a multi-day trip to the region. The cost of this program is heavily subsidized by Encounter’s funders. Flights for Jewish professionals are heavily subsidized, and all land costs are covered by Encounter. Network weaving and focused workshops on American Jewish leadership vis-à-vis the conflict are central to these experiences. Cohorts typically include 25-30 participants. Who are the Palestinian speakers participants meet with? Do any speakers promote violence? Does Encounter pay its speakers? Encounter strives to give Jewish communal leaders access to a broad diversity of Palestinians representing different sectors of Palestinian society: secular and religious, cosmopolitans and village residents; activists, journalists, educators and business people. We meet with people who advocate for all kinds of political solutions but do not meet with anyone who promotes violence. English may be a first, second or third language for some of our speakers, and occasionally we use a translator, if necessary. All speakers are vetted by the Encounter staff and in most cases have been meeting with our groups for many years. We offer a modest honorarium to speakers for their time. At Encounter, we’re looking for people who share our commitment to rigorous, inclusive inquiry and to ensuring healthy Jewish communal engagement with Israel and the Israeli-Palestinian conflict. Working with us, you’ll help develop and support programming that empowers Jewish leadership on some of the most pressing issues of our day — building networks, breaking down barriers, and leading new initiatives. Join us, and be a positive force for change.